The developer in me has been itching to give it a try on a "real" project. The Drupalize.Me site itself is pretty complex: e-commerce (with recurring billing), video delivery, and piles and piles of content. Suffice it to say it's not a prime candidate for migration right now. Our blog however, is definitely a better prospect. Justin has a great new design for us. Amber has mentioned how much she'd like the new Drupal 8 authoring tools. 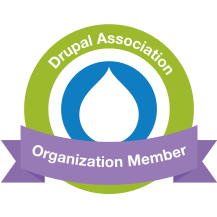 The blog is relatively straight-forward which makes it a great way for our whole team to start using Drupal 8. So, as we start to think about upgrading our blog the first thing we're going to have to think about is data migration. Let's take a look at Migrate module, that's now part of Drupal core, and see how much work we might have ahead of ourselves. Furthermore, what I noticed last month on module updates: ... Validating a form in your Drupal website without refreshing the page. This widely used module now offers a Release Candidate for Drupal 8. Useful list, even for Drupal 7 builders. Drupal 8 comes with two extension points for module developers to allow other modules to interact with their code. But there is a new kid on the block, the event system. So as a module developer how do you decide whether to use the alter system or the event system. Read the article to find out why and how this works. In my travels to talk about Drupal, everyone asks me about Drupal 8's performance and scalability. Modern websites are much more dynamic and interactive than 10 years ago, making it more difficult to build modern sites while also being fast. It made me realize that maybe I should write up a summary of some of the most exciting performance and scalability improvements in Drupal 8. After all, Drupal 8 will leapfrog many of its competitors in terms of how to architect and scale modern web applications. Many of these improvements benefit both small and large websites, but also allow us to build even bigger websites with Drupal. The end goal basically boils down to two main pieces: turn all page output into blocks (using the new plugin system), and add a new layout system that will allow site builders to control their pages. Pretty awesome, huh? Also, a lot of work. With plugins in core, the next step was to get all of the existing Drupal blocks switched over to the new system. Using the plugin system turned the old, pokey core blocks into flexible super-blocks. This allows us to to do cool things like have multiple instances of a block. This was a huge amount of work by a lot of people. It took about a year to get the "blocks as plugins" foundation in place. Good update and overview on what's behind the changes in Drupal 8.